Mark your calendars for Friday, August 11 and Saturday, August 12. We will be having award-winning longarm quilter, Sue Patten join us for two days of education and fun. 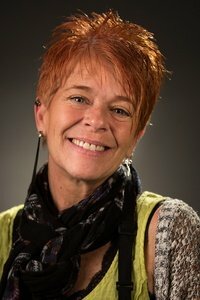 Sue travels throughout Canada, the US, Europe and the UK teaching her unique and innovative quilting styles to longarm, domestic and hand quilters. She is always filled with high energy, humor, stories and tips; ensuring her classes are full of non-stop education! The classes she will be teaching are: Stepping Stones to Quilting Your First Quilt, Start Simple, Expand to Amazing, Ruler Mania, and All About Feathers. Each class fee will be $40. Do you need to own a longarm machine to attend? Absolutely NOT! We will be sending out more information in the future about each individual class and the location, but just wanted you to get this date on your busy schedule! Our Women of the Bible Block 21 is Hannah. Woohoo! You are over half way there. So glad to hear there are so many quilters out there enjoying this series. For your free pattern,CLICK HERE! We have had lots of new fabrics arriving daily. Stop in to check them out!! !